Why Can't A Woman Be A Race Car Driver? The vast majority of women you meet in motorsports are on the communications side, but it doesn't have to be that way. 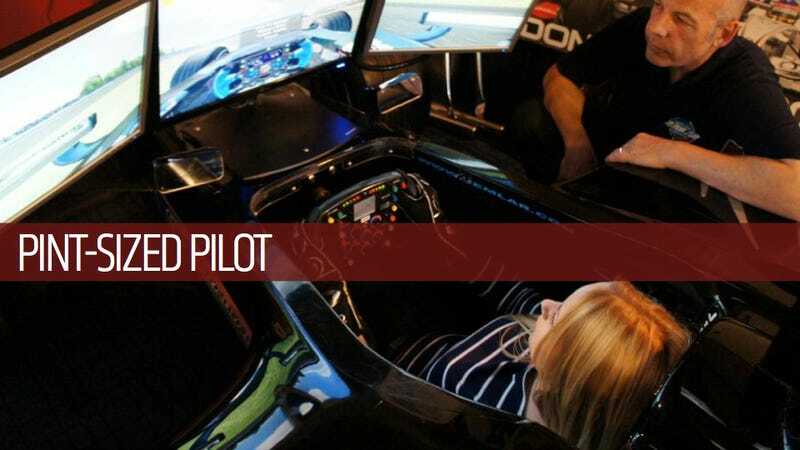 Former motorsports PR diva Lindsay Orridge decided that if she's tough enough to save Tiff Needell from muggers, she's tough enough to get in there and race with the boys. The first step? Getting a racing license. — Ed. I have many questions in my head. Questions like: "Why do I have to wait in line for an hour to get into my own country?" and "Why do some women spend thousands of dollars on handbags?" But there is one question that regularly distracts me: "What's it like to drive different race cars?" After spending a decade working with everything from single seaters to world rally cars, I guess I'm in a pretty good position to try and answer it. My driver pals have offered me an insight into their particular disciplines; hooning a Fiesta through gravel-strewn forests, battling with a field of touring cars for first place, perfectly clipping an apex on the Nordschleife. Yet despite all my experience next to cars, it's impossible to understand any of these experiences until you've sat behind the wheel yourself, so I figured I'd try to to find out first-hand. Sadly, no matter how well I know those guys, none of them are about to hand me the keys to their precious lumps of metal without me proving I'm not going to bin it on the first corner, which is why I booked a place on the next available session at Silverstone, the home of British motor racing and the place where I got my first taste of working in the far-from-glamorous world of motorsport. Not just a track day, but a full-on race licence test. Just a few days to learn my flags, the principles of understeer, oversteer and how to drive the National circuit without royally cocking it up. My preparation included two hours in an F1 cockpit simulator (cramped, even for a five- footer), a whistlestop tour of Paris with Alex Roy (long story) and a weekend of drinking heavily in the pouring rain in honour of Her Majesty the Queen. When D-Day arrived I took a couple of cameras along to capture the whole thing. So for your viewing pleasure, Jalops, I give you eight minutes of me trying to remember the meaning of a red and yellow striped flag under exam conditions, skidding a Caterham around in the rain and generally wondering if I've got a hope in hell's chance of passing. Oh, and keep your eyes peeled on my YouTube channel for the outtakes soon. Apologies in advance for the number of bleeps.